Mid Atlantic Sports Consultants LLC. (click the image to get directed to www.cinesports.tv) "Empowering Athletes through Video and Highlights"
CineSports is a filming company founded by former professional soccer players. They work with M-ASC to provide our athletes with recruitment videos for college coaches. CineSports takes highlights from our athletes' game footage and composes it into a professional and informative highlight reel. Mike Polchert tutors in all of the NCAA core subjects and is willing to assist any issues students may have academically. With our partnership with Mike Polchert, M-ASC athletes receive tutoring and support at a discounted rate. 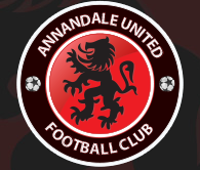 Annandale United FC is a travel soccer club serving Northern Virginia. Their goal is help soccer players improve upon their skill and help them advance in their careers. M-ASC has partnered with AUFC as the main source of college recruiting for their athletes. Evolution Basketball Training is a training program that offers clinics, camps, team opportunities and training to basketball players of all ages and skill levels. They have had a large amount of success and many of their clients have moved on to play collegiate basketball. They believe that true success in life comes from three core values: inspiration, excellence and perseverance. Full Court Basketball Academy's mission is to help athletes of all ages reach their potential as basketball players and leaders of the community. Full Court works with athletes on their basketball skills, strength and conditioning and competition. M-ASC has partnered with Full Court with the hopes of assisting these athletes in the college recruiting process. ©2019 Mid Atlantic Sports Consultants LLC. / SportsEngine. All Rights Reserved.